Lil Pump attends the 2018 MTV Video Music Awards at Radio City Music Hall on Aug. 20, 2018, in New York City. 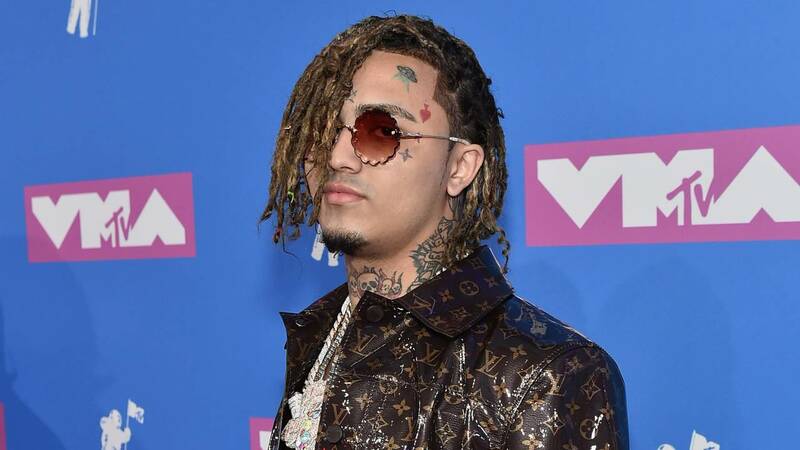 (CNN) - A racist music video released by US rapper Lil Pump on social media has infuriated Chinese musicians over lyrics and gestures perceived as anti-Chinese. In "Butterfly Doors," Lil Pump sings, "Smoking on dope, they call me Yao Ming 'cause my eye real low," in a reference to the Chinese former basketball star. He then pulls his eyelids in a common gesture mocking Asians. Following the second verse, the rapper sings "Ching chong," a derogatory term often used against Chinese people. Lil Pump, an 18-year-old Colombian-American, rose from social media fame to huge mainstream success. His songs have hundreds of millions of views on YouTube and he has even appeared in a video with Kanye West. "Butterfly Doors" was posted to his Instagram account on Monday and has since been viewed more than four million times. Chinese rapper Li Yijie, known as Pissy, a member of the Chengdu Revolution (CD-Rev) rap group, released a diss track on his country's social media targeting Lil Pump over the new song. "From being discriminated against, to act discrimination again. The fact is you and white racists the same. Respect yourself," Pissy sings in the track, titled "F*** Lil Pump." The Chinese rapper goes on to say that the Chinese are "great like Yao Ming." Speaking to state-run tabloid Global Times, Pissy said he felt angry "as a Chinese" about the lyrics. "And as a rapper, I'm ashamed with what Lil Pump wrote in his song. Lil Pump, one of the most popular rappers in the US, should not humiliate the spirit of the rap," he said.